When I was a youngster, I quickly learned the value of money. I came from a middle-class home where effective money-management techniques were something that I lived on a daily basis. I would receive a monthly stipend, and I would typically invest this in my fixed-interest bearing bank account. Thanks to my good behavior and frugal habits, my parents invariably paid all of my expenses and I was able to save up 80% of the stipends I received over the years. By the time I was 18, I had enough for a brand-new car, an overseas vacation and my first year of college. You may be wondering if my situation is unique – it isn’t. Money-management is something that we learn from a young age. Some people have an emotional connection to money, and they see it as something that needs to be protected and preserved at all costs. Provided you don’t become miserly in the way you live your life and share your life with others, this perspective typically bodes well for you as the years progress. Other folks are reckless with money control. They tend to be risk-takers, spendthrifts and rather liberal in the way they throw money around. Which path should your kids take when it comes to baby budgeting? Many of you will prefer a middle-of-the-road approach. Spend some, save some and build a balance over time. I found that kids can save a whole lot more of their monthly allowance, reward money for good grades, birthday gifts, Christmas gifts, Hanukkah gifts, Kwanzaa gifts etc. over the years because we as parents are responsible for all their needs. Therefore, I tend to encourage maximum money-savings with young people. 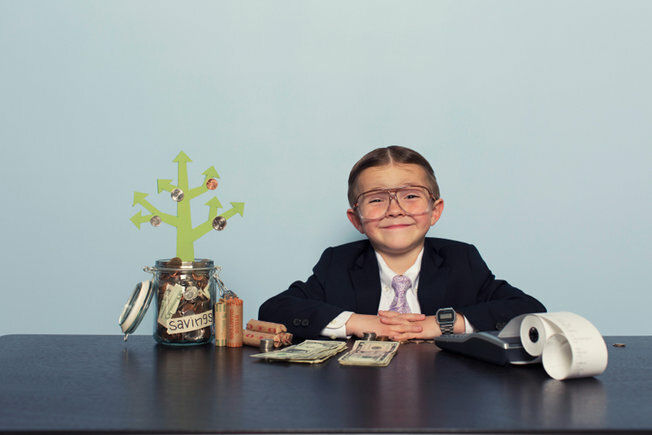 But here’s the question that every parent needs to seriously consider when it comes to kids and saving money: What should you teach your kids about becoming financially independent adults? For starters, it’s important not to over indulge your kids, and to use those cost savings to provide kids with savings accounts. The thing about money is that it really is like water. It tends to evaporate quicker than we can get it, it slips through our fingers, and it generally flows away from us. When we have it, many of us don’t seem to be able to hold onto it for any length of time. For these reasons, there is no rationale to waste money on things that kids don’t need. This rule applies to parents as well. Money-management is about preparing for the future with what is available today. There is nothing worse than heading into retirement with no financial padding, or being in between jobs with no means to tide yourself over, or wanting to study but having no access to cash reserves. Many such scenarios exist. It was recently revealed that the average American family does not even have $500 to cover eventualities. These types of statistics are unacceptable in a world where careful financial planning can avoid many of these things from occurring in the first place. It all begins with the kids. The way we teach kids about the value of money says a lot about how responsible they become with money as adults. In this vein, your money habits are really a mirror image of how your kids perceive money. Kids hear everything we say, even if they pretend to be ignoring us. They understand when we have money problems and credit card bills, and overwhelming debt. Children need to understand that money is something that makes life easier. It allows kids to do the things they want to do, spoil their friends and loved ones, save up for something that they really want, and have financial security at some future point in time. Since it is impossible to make big-ticket purchases without having the necessary money savings available, kids need to understand that money must be perceived from a strategic point of view. It takes time to acquire the necessary resources to make those purchases. Kids also quickly learn how their parents behave with credit cards. When you simply run your credit card every time you need something, kids may not fully appreciate the value of money. They need to be taught that credit card spending is the worst type of spending on the spectrum – it is money that needs to be repaid with high rates of interest. The topic of money should not be avoided in the household. Many parents don’t want their kids to know that money is tight, or that things run on a budget. They want to give their kids a better life than they had as kids. However, this is not necessarily the right approach to adopt. If kids do not understand the scarcity of money, they will spend it and demand as much as possible without having an appreciation of the value of a dollar. Similarly, kids should not be taught to have a poverty consciousness – they must be taught that everything is possible if you apply sound financial judgment to your decision-making processes.